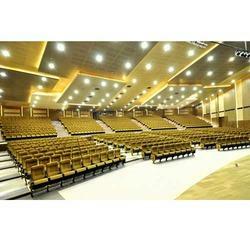 Leading Manufacturer of commercial auditorium seat from Bengaluru. We are widely acclaimed for excellence in manufacturing, supplying and exporting a wide array of Commercial Auditorium Seat. Our Commercial Auditorium Seats are highly praised for its attractiveness and long lasing nature. These Commercial Auditorium Seats are very comfortable and are offered in various specifications and colors. These Commercial Auditorium Seats are made under the able guidance of our industrial experts. Looking for Commercial Auditorium Seat ?